Kanda bhaji is a popular street food and you can find it on many stalls around the streets in Mumbai, especially in dhabas on highways. 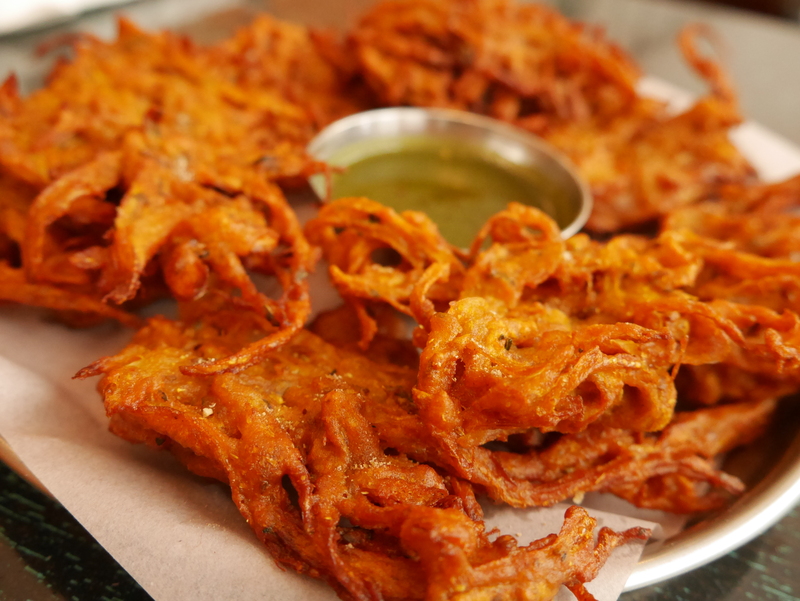 Hot Onion bhaji with tea are delicious, mouthwatering very tempting and hard to resist. They are made with sliced onions, besan (gram flour) and spices. They are crunchy and crispy when they are hot.